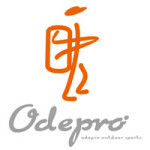 Odepro, an independent brand under the Odepro Technology Co. Ltd. In Shenzhen, is aimed at setting a stable and dependable comprehensive outdoor-equipment brand. Our product line include LED flashlight, slingshot, bow, gun mount etc. Know more or contact Odepro on Facebook.